How do I fix the recording for ScoreNexus TOEFL? ScoreNexus delivers realistic TOEFL practice tests directly on modern browsers (Chrome, Firefox, Opera, Edge). There are no special downloads or plugins you need to use. Although problems are not common, this article discusses potential problems that might occur during recording in the Speaking section. 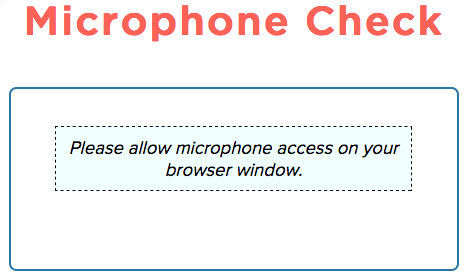 Solution: Give your browser permission to use the microphone. The sound coming from your computer might be too quiet. Or, the volume on your recordings might be too low. You should use a headset when taking ScoreNexus TOEFL practice tests. First, it helps improve sound quality. Second, and most importantly, you must wear a headset on the real TOEFL. You should try to take practice tests under the same conditions of the real test. 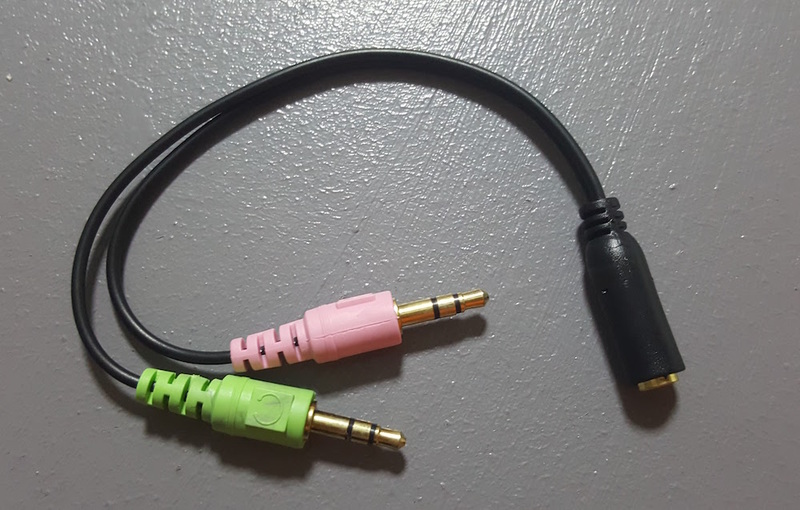 This will allow you to use headsets that comes with your iPhone/Android smartphone. There is no sound coming from your computer. 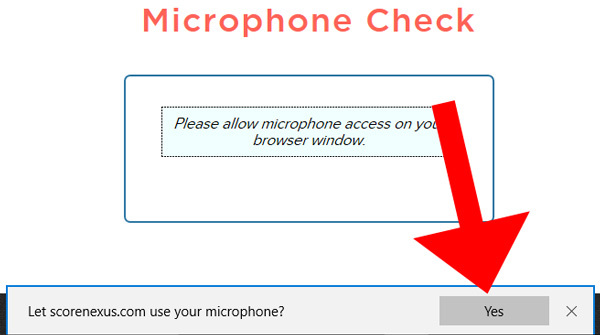 Solution: Check your headset microphone and computer microphone settings. Also make sure your volume is not on mute. The system is just not acting right. Solution: Close your browser and restart your computer. This is a good fix for general problems. If none of these solutions work, please contact us and we will be happy to help you fix your problem.